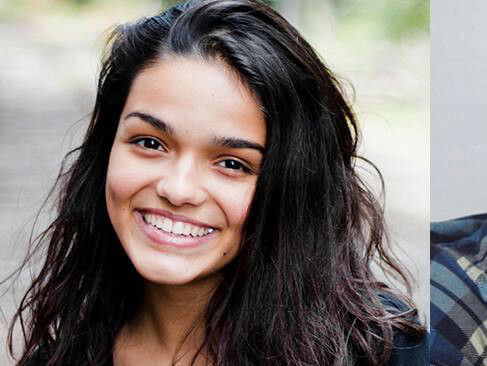 A 17-year-old high school student has finally been picked to play Maria in Steven Spielberg’s remake of the iconic musical ‘West Side Story’. Rachel Zegler, of New Jersey, was picked among 30,000 Latino actors who submitted video auditions for the highly sought-after role played by Natalie Wood in the 1961 classic. Three months ago, it was announced that actor Ansel Elgort (‘Baby Driver’) would play Tony, the male lead in the remake of the film that won 10 Oscars in 1962. Spielberg has also cast Broadway actress Ariana DeBose as Anita and David Alvarez as Bernardo. Theatre performer Josh Andres Rivera has been cast as Chino. “When we began this process a year ago, we announced that we would cast the roles of Maria, Anita, Bernardo, Chino and the Sharks with Latina and Latino actors,” Spielberg was quoted as saying in US media. “I’m so happy that we’ve assembled a cast that reflects the astonishing depth of talent in America’s multifaceted Hispanic community. “I am in awe of the sheer force of the talent of these young performers, and I believe they’ll bring a new and electrifying energy to a magnificent musical that’s more relevant than ever,” he added. ‘West Side Story’ is a modern take on Romeo and Juliet and follows the romance between a pair of teenagers linked to two warring New York City gangs. Filming for the new feature is scheduled to begin this summer. Screenwriter Tony Kushner has said that the new movie will take its cues from the original 1957 Broadway musical, rather than the film, and that all of the classic songs will be included.